Sylvia Plath is an all time favorite poet of both me and my partner-in-crime's. 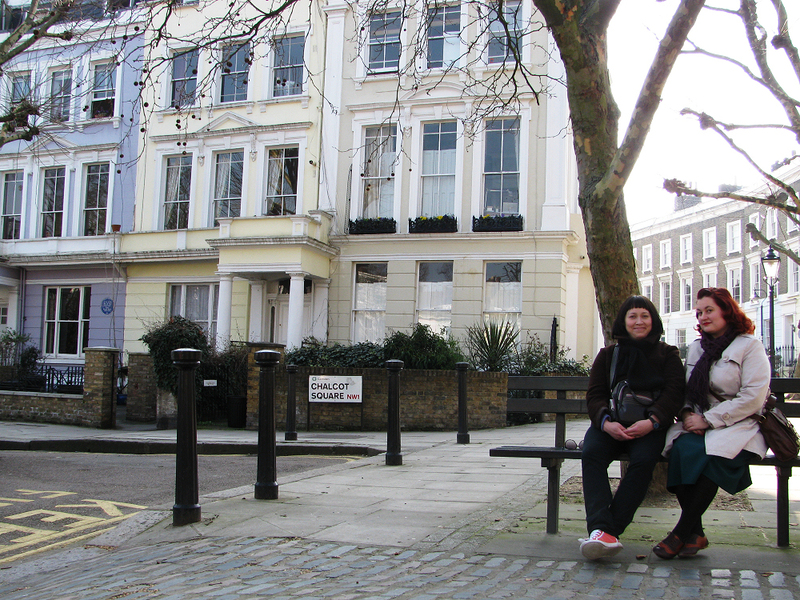 It has been a long time wish of mine to visit places related to her life in London ever since I first visited the city well over a decade and a half ago. For one reason or another, I never got around to it before - before yesterday, that is. 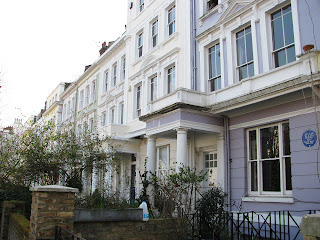 It was another gorgeous spring day in London and we decided to head to the beautiful area of Primrose Hill to visit the two flats that Plath lived in from 1960, upon her return to England, to 1963. 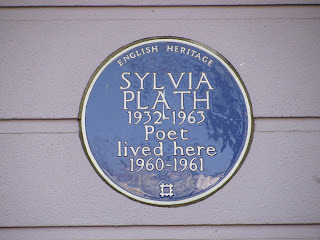 Here's a little bit of background information on Plath's final years in London, courtesy of A celebration, this is, which is one of my favorite sites dedicated to Sylvia. In April 1960, Plath gave birth to a daughter, Frieda, at home. In 1961, she suffered an appendicitis and a miscarriage before channeling her creative efforts into her novel The Bell Jar. After this, Plath's creative writing escalated to such a degree that by October 1962, she was writing poems that would make her famous. By the Autumn of 1961, Plath and Ted Hughes purchased Court Green, in North Tawton, Devon. Her son, Nicholas, was born in January 1962. Within the year her marriage collapsed and she moved back to London in early December 1962. 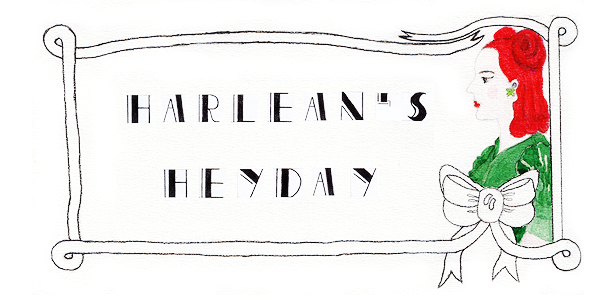 The Bell Jar was published in January 1963, and within a month, she took her life. The following photos are from 3 Chalcot Square, where Plath and Hughes lived from 1960 through August 1961. It is a truly charming little square with beautiful pastel colored houses and a cute little park. Sylvia has her own blue plaque at this address. It would be a dream come true to live in one of these houses some day. 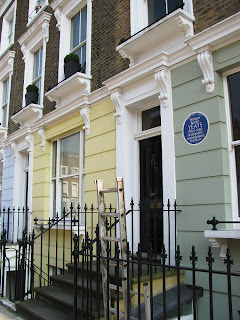 We also visited 23 Fitzroy Road, which is located right off Chalcot Square. 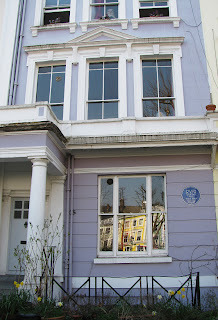 Plath lived here for the last few months of her life, from December 1962 until her death on February 11, 1963. 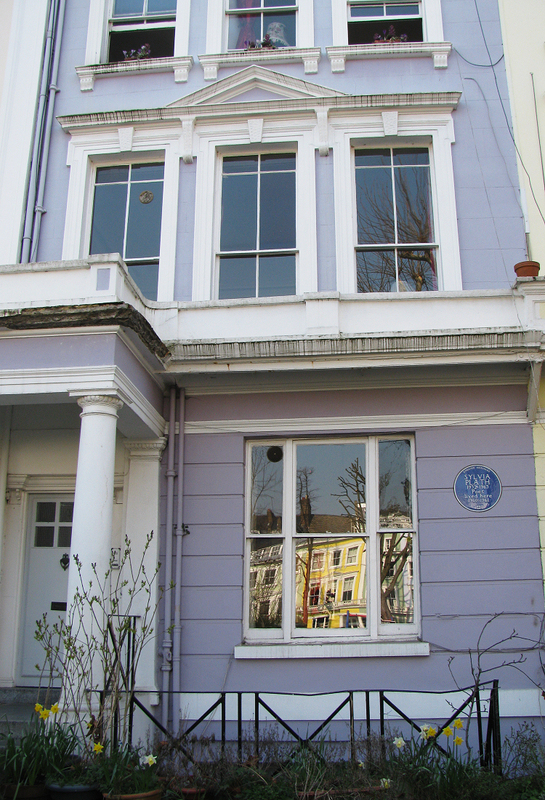 The Fitzroy Road flat is the one where Plath committed suicide. The Irish poet and dramatist W.B. Yeats lived in the house as a boy, a fact that once upon a time pleased Sylvia and was something that she considered to be a good omen. Very sad. There is no plaque dedicated to Sylvia outside of the house. Instead, there's one for Yeats. 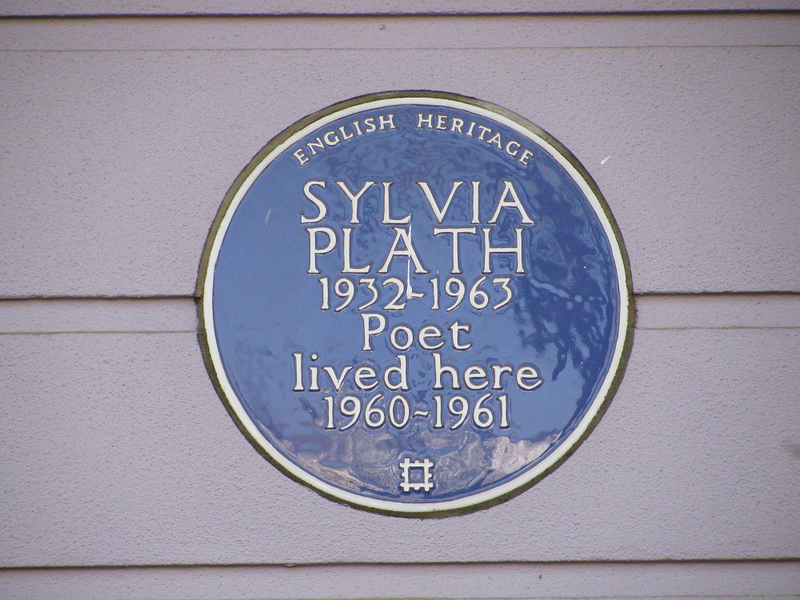 how poignant that you visited these Plath landmarks (esp. 23 Fitzroy Road). I someone imagine the energy there to be rather unsettled. BaronessVonVintage - Unsettled, indeed. Such a sad, tragic location.